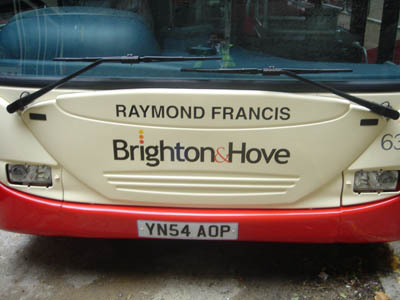 Connections with Brighton and Hove : In the Fifties and Sixties, Raymond Francis was one of the most famous faces in Britain. 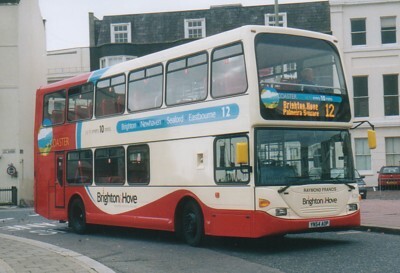 This was through his role in the ITV police drama series No Hiding Place. It started in 1959 and no fewer than 236 one-hour episodes were made. 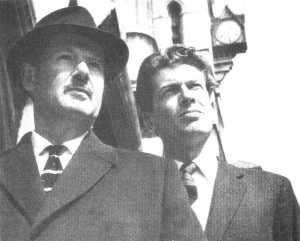 Francis played Detective Chief Superintendent Lockhart and had a natural authority which suited him to the role. It was the high point of a long acting career. His first role was in the theatre at the end of the Palace Pier and after graduating to screen work, he starred in other dramas before being offered the role in No Hiding Place. 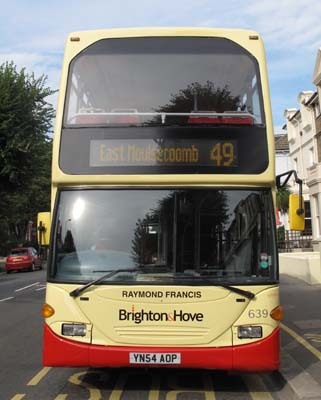 Francis lived in Bexhill and Eastbourne before moving to Hove in 1987. 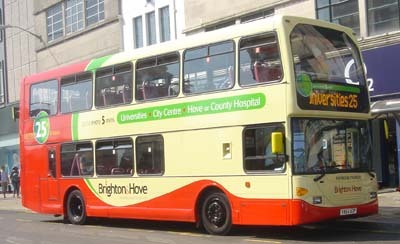 639 - Scania Omnidekka carried name since September 2004 on Coaster 12. 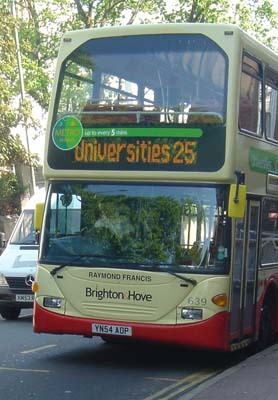 Rebranded to Metro 25 livery in May 2008. 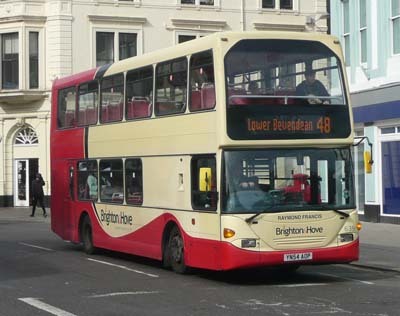 Metro 25 branding removed August 2012.